Find the latest Free Baby Products Via Mail! Browse our list of Free Baby Product Samples to score some valuable Free baby product Samples! 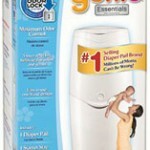 Find name brand samples from Huggies, Pampers, Enfamil, Similac and many more!!! 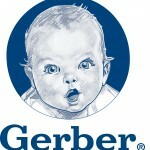 Be sure to sign-up for our newsletter so we can keep you updated with the latest free baby samples! Also checkout our complete list of baby products, coupons and more! FREE Cabinet Safety Latch Starter Kit – This offer is from Home Made Simple. Simply fill out the form to get your free starter kit! Sign up and receive a FREE Child ID Safety Card and learn more via email about The Grow-Up Plan from Gerber Life Insurance Company! Sign-up for Gerber and you’ll be mailed a FREE booklet filled with High Value Coupons, tips and other deals throughout the year! FREE Sample of Kirkland Signature Premium Wet Wipes for Costco Members – A 12 digit Costco Member ID is required.